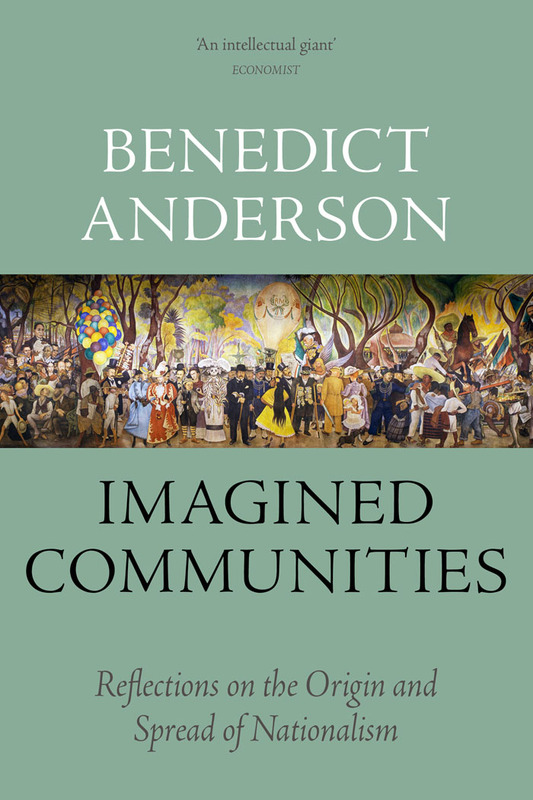 Imagined Communities: Reflections on the Origin and Spread of Nationalism remains the most influential book on the origins of nationalism, filling the vacuum that previously existed in the traditions of Western thought. Cited more often than any other single English-language work in the human sciences, it is read around the world in more than thirty translations. It is one of the core texts on our student reading lists and 50% off for the month of September as part of our Back to University sale. Perhaps without being much noticed yet, a fundamental transformation in the history of Marxism and Marxist movements is upon us. Its most visible signs are the recent wars between Vietnam, Cambodia and China. These wars are of world-historical importance because they are the first to occur between regimes whose independence and revolutionary credentials are undeniable, and because none of the belligerents has made more than the most perfunctory attempts to justify the bloodshed in terms of a recognizable Marxist theoretical perspective. While it was still just possible to interpret the Sino-Soviet border clashes of 1969, and the Soviet military interventions in Germany (1953), Hungary (1956), Czechoslovakia (1968), and Afghanistan (1980) in terms of – according to taste – ‘social imperialism,’ ‘defending socialism,’ etc., no one, I imagine, seriously believes that such vocabularies have much bearing on what has occurred in Indochina. If the Vietnamese invasion and occupation of Cambodia in December 1978 and January 1979 represented the first large-scale conventional war waged by one revolutionary Marxist regime against another,  China’s assault on Vietnam in February rapidly confirmed the precedent. Only the most trusting would dare wager that in the declining years of this century any significant outbreak of interstate hostilities will necessarily find the USSR and the PRC – let alone the smaller socialist states – supporting, or fighting on, the same side. Who can be confident that Yugoslavia and Albania will not one day come to blows? Those variegated groups who seek a withdrawal of the Red Army from its encampments in Eastern Europe should remind themselves of the degree to which its overwhelming presence has, since 1945, ruled out armed conflict between the region’s Marxist regimes. Eric Hobsbawm is perfectly correct in stating that ‘Marxist movements and states have tended to become national not only in form but in substance, i.e., nationalist. There is nothing to suggest that this trend will not continue.’  Nor is the tendency confined to the socialist world. Almost every year the United Nations admits new members. And “many ‘old nations,’ once thought fully consolidated, find themselves challenged by ‘sub’-nationalisms within their borders – nationalisms which, naturally, dream of shedding this sub-ness one happy day. The reality is quite plain: the ‘end of the era of nationalism,’ so long prophesied, is not remotely in sight. Indeed, nation-ness is the most universally legitimate value in the political life of our time. But if the facts are clear, their explanation remains a matter of long-standing dispute. Nation, nationality, nationalism – all have proved notoriously difficult to define, let alone to analyse. In contrast to the immense influence that nationalism has exerted on the modern world, plausible theory about it is conspicuously meagre. Hugh Seton-Watson, author of far the best and most comprehensive English-language text on nationalism, and heir to a vast tradition of liberal historiography and social science, sadly observes: ‘Thus I am driven to the conclusion that no “scientific definition” of the nation can be devised; yet the phenomenon has existed and exists.’  Tom Nairn, author of the path-breaking The Break-up of Britain, and heir to the scarcely less vast tradition of Marxist historiography and social science, candidly remarks: ‘The theory of nationalism represents Marxism’s great historical failure.’  But even this confession is somewhat misleading, insofar as it can be taken to imply the regrettable outcome of a long, self-conscious search for theoretical clarity. It would be more exact to say that nationalism has proved an uncomfortable anomaly for Marxist theory and, precisely for that reason, has been largely elided, rather than confronted. Reflections on the How else to explain Marx’s failure to explicate the crucial adjective in his memorable formulation of 1848: ‘The proletariat of each country must, of course, first of all settle matters with its own bourgeoisie’? How else to account for the use, for over a century, of the concept ‘national bourgeoisie’ without any serious attempt to justify theoretically the relevance of the adjective? Why is this segmentation of the bourgeoisie – a world-class insofar as it is defined in terms of the relations of production – theoretically significant? The aim of this book is to offer some tentative suggestions for a more satisfactory interpretation of the ‘anomaly’ of nationalism. My sense is that on this topic both Marxist and liberal theory have become etiolated in a late Ptolemaic effort to ‘save the phenomena’; and that a reorientation of perspective in, as it were, a Copernican spirit is urgently required. My point of departure is that nationality, or, as one might prefer to put it in view of that word’s multiple significations, nation-ness, as well as nationalism, are cultural artefacts of a particular kind. To understand them properly we need to consider carefully how they have come into historical being, in what ways their meanings have changed over time, and why, today, they command such profound emotional legitimacy. I will be trying to argue that the creation of these artefacts towards the end of the eighteenth century  was the spontaneous distillation of a complex ‘crossing’ of discrete historical forces; but that, once created, they became ‘modular,’ capable of being transplanted, with varying degrees of self-consciousness, to a great variety of social terrains, to merge and be merged with a correspondingly wide variety of political and ideological constellations. I will also attempt to show why these particular cultural artefacts have aroused such deep attachments. Part of the difficulty is that one tends unconsciously to hypostasize the existence of Nationalism-with-a-big-N (rather as one might Age-with-a-capital-A) and then to classify ‘it’ as an ideology. (Note that if everyone has an age, Age is merely an analytical expression.) It would, I think, make things easier if one treated it as if it belonged with ‘kinship’ and ‘religion’, rather than with ‘liberalism’ or ‘fascism’. 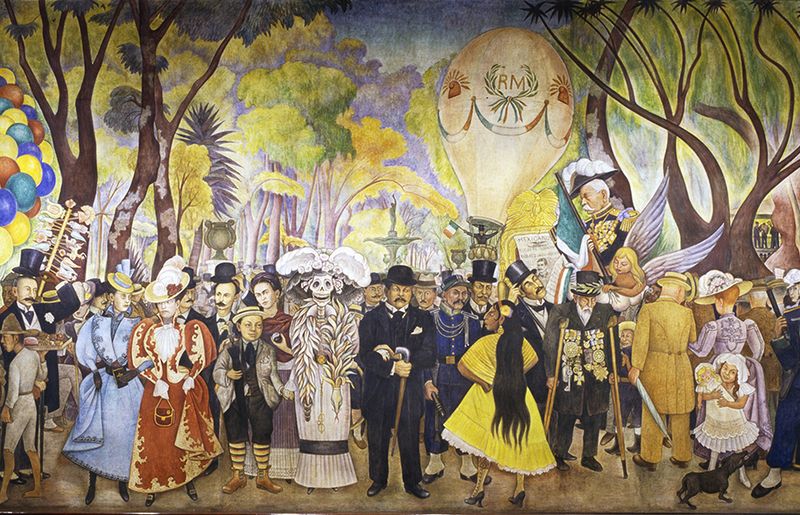 In an anthropological spirit, then, I propose the following definition of the nation: it is an imagined political community – and imagined as both inherently limited and sovereign. The nation is imagined as limited because even the largest of them, encompassing perhaps a billion living human beings, has finite, if elastic, boundaries, beyond which lie other nations. No nation imagines itself coterminous with mankind. The “most messianic nationalists do not dream of a day when all the members of the human race will join their nation in the way that it was possible, in certain epochs, for, say, Christians to dream of a wholly Christian planet. These deaths bring us abruptly face to face with the central problem posed by nationalism: what makes the shrunken imaginings of recent history (scarcely more than two centuries) generate such colossal sacrifices? I believe that the beginnings of an answer lie in the cultural roots of nationalism. 1. This formulation is chosen simply to emphasize the scale and the style of the fighting, not to assign blame. To avoid possible misunderstanding, it should be said that the December 1978 invasion grew out of armed clashes between partisans of the two revolutionary movements going back possibly as far as 1971. After April 1977, border raids, initiated by the Cambodians, but quickly followed by the Vietnamese, grew in size and scope, culminating in the major Vietnamese incursion of December 1977. None of these raids, however, aimed at overthrowing enemy regimes or occupying large territories, nor were the numbers of troops involved comparable to those deployed in December 1978. The controversy over the causes of the war is most thoughtfully pursued in: Stephen P. Heder, ‘The Kampuchean–Vietnamese Conflict,’ in David W. P. Elliott, ed., The Third Indochina Conflict, pp. 21–67; Anthony Barnett, ‘Inter-Communist Conflicts and Vietnam,’ Bulletin of Concerned Asian Scholars, 11: 4 (October–December 1979), pp. 2–9; and Laura Summers, ‘In Matters of War and Socialism Anthony Barnett would Shame and Honour Kampuchea Too Much,’ ibid., pp. 10–18. 2. Anyone who has doubts about the UK’s claims to such parity with the USSR should ask himself what nationality its name denotes: Great Brito-Irish? 3. Eric Hobsbawm, ‘Some Reflections on “The Break-up of Britain” ’, New Left Review, 105 (September–October 1977), p. 13. 4. See his Nations and States, p. 5. Emphasis added. 5. See his ‘The Modern Janus’, New Left Review, 94 (November–December 1975), p. 3. This essay is included unchanged in The Break-up of Britain as chapter 9 (pp. 329–63). 6. Karl Marx and Friedrich Engels, The Communist Manifesto, in the Selected Works, I, p. 45. Emphasis added. In any theoretical exegesis, the words ‘of course’ should flash red lights before the transported reader. 7. As Aira Kemiläinen notes, the twin ‘founding fathers’ of academic scholarship on nationalism, Hans Kohn and Carleton Hayes, argued persuasively for this dating. Their conclusions have, I think, not been seriously disputed except by nationalist ideologues in particular countries. Kemiläinen also observes that the word ‘nationalism’ did not come into wide general use until the end of the nineteenth century. It did not occur, for example, in many standard nineteenth century lexicons. If Adam Smith conjured with the wealth of ‘nations,’ he meant by the term no more than ‘societies’ or ‘states.’ Aira Kemiläinen, Nationalism, pp. 10, 33, and 48–49. 8. The Break-up of Britain, p. 359. 11. Ernest Gellner, Thought and Change, p. 169. Emphasis added.